Disclosure: I received a review copy of Suicide Club from Pansing Books, a regional distributor, in exchange for an honest review. This does not affect my opinion of the book or the content of my review. In a near-future world, medical technology has progressed far enough that immortality is now within grasp – but only to those who show themselves to be deserving of it. These people are the lifers: the exercisers, yogacisers, green juicers and early nighters. If you could live for hundreds of years, if not, forever, would you want to? In Suicide Club, those who deserve it are given immortality. In exchange, they have to take good care of their health — eat well, exercise and all that jazz. What I liked about this premise was that it plays on our contemporary obsession with health and wellness. Food diet movements abound from “clean eating” to keto to paleo, claiming to detox, strengthen the immune system, etc. Rachel Heng pushed these ideals to the extreme in her futuristic science fiction novel set in New York City. Suicide Club was such an addictive read, even though it wasn’t fast-paced. In fact, the prose had a dreamlike quality to it. On one hand, this led to a sterile view on Lea’s and Anja’s lives. I didn’t lose myself in the story because I wasn’t sucked in to the action. I think that that fit their utopian society really well. At the same time, I could connect to Lea and Anja as Suicide Club explored their psyches and their pasts. As expected from the title, Suicide Club was gruesome to read. While everything seemed perfect on the surface due to technological advancements in medicine, there were sinister undertones. People who didn’t subscribe to the government had to live off the grid to survive. While lifers received immortality, what of those who didn’t “deserve” it? Of course, privacy held little meaning as the site closely monitored everyone’s lives to make sure they adhered to the health guidelines. The premise of this book sounds amazing! 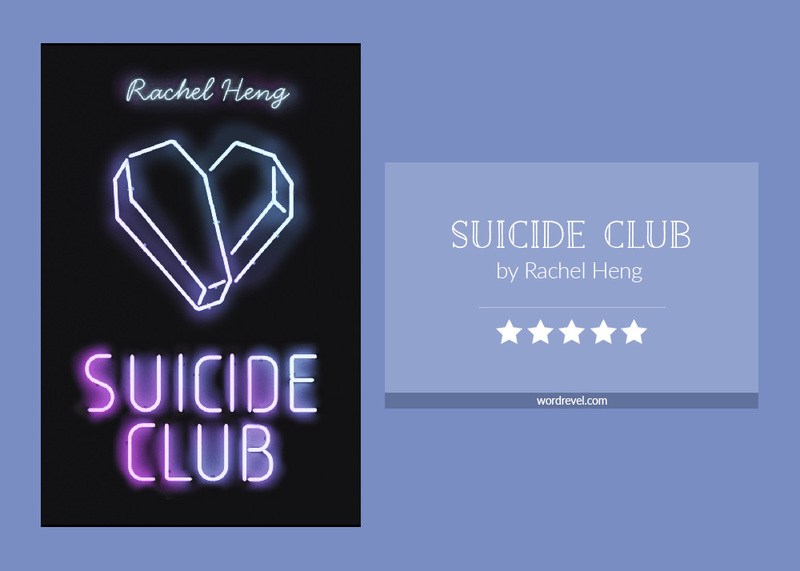 I’m adding Suicide Club to my tbr.